Ultra-thin watch movements are the hallmark of Piaget timepieces. Would you like to sell a Piaget watch? Contact Diamond Estate to learn how much your Piaget timepiece is worth on the resale market. Piaget is a luxury Swiss watchmaker known for its manufacture of ultra-thin watch movements and its creation of finely jeweled wristwatches. They remain one of the few manufacturers to control all phases of creation, from design to delivery. Piaget also is one of the watchmakers whose timepieces Diamond Estate specializes in purchasing, along with prestige watches from Patek Philippe, Audemars Piguet, Vacheron Constantin, and Rolex, among others. Contact Diamond Estate for a free Piaget watch appraisal and quick cash offer. If you want to sell a Piaget watch, you’re goal is to obtain the highest cash price for your timepiece. After researching their options (from auction houses to local jewelers), Piaget watch owners throughout the country have chosen Diamond Estate as the best place to sell a Piaget watch. Why do so many sellers choose us? Because our low overhead and unrivalled resale network of watch collectors and retailers, enables Diamond Estate to pay you the absolute best price for your pre-owned Piaget timepiece, including the iconic Polo S, Altiplano, and Limelight Gala. 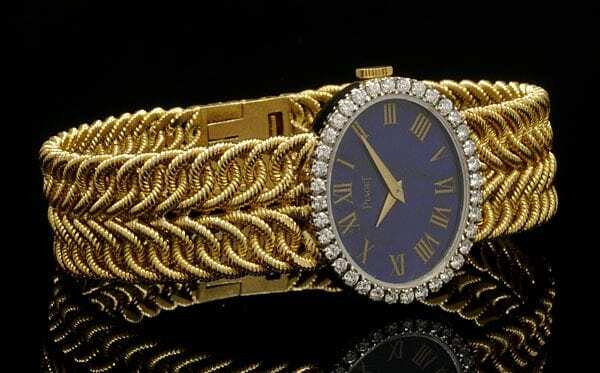 As a boutique watch buyer who also specializes in purchasing important estate jewelry, Diamond Estate is also one of the few watch buyers in the country that can be relied upon for generous cash offers on Piaget’s “high jewellery” gold timepieces set with abundant diamonds, including the fashionable Lady’s Cuff Watch and Men’s Emperador Cushion. Let us earn our A+ BBB reputation with you today, and show you why Diamond Estate is where to sell a Piaget watch for the best cash price. Get started now with a free appraisal of your Piaget timepiece and immediate cash offer. In 1874, Georges Édouard Piaget began making highly precise watch movements in a workshop on the family farm in La Côte-aux-Fées, Switzerland. Prior to World War II, the company’s movements were marketed through other watch brands, but Édouard’s grandsons, Gerald and Valentin, registered the brand name in 1943, and they began to produce watches under their own name. 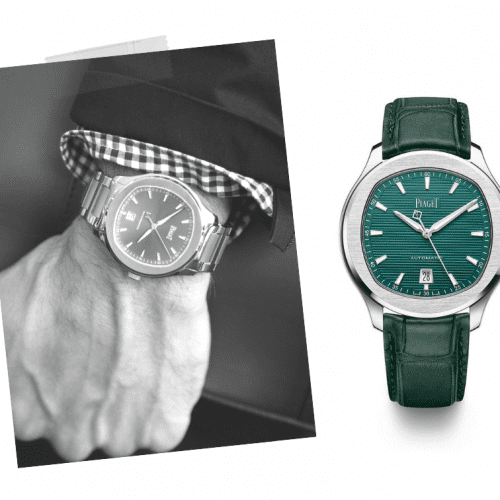 Piaget introduced the now famous ultra-thin, hand-wound Caliber 9P in 1960. Ultra-thin movements soon became a hallmark of the company. In 1957, Piaget introduced the now famous ultra-thin, hand-wound Caliber 9P, which was only 2mm thick, and in 1960, they launched the Caliber 12P, which was (at the time) the world’s thinnest automatic movement at just 2.3 mm thick. These two mechanical movements allowed the designers at Piaget to create watches with ultra-thin profiles, including coin watches, shaped cases, and the brand’s signature jeweled cuff watches. In the 1960s Piaget continued to solidify its independence and control over all aspects of manufacturing by entering into partnerships with goldsmiths in Geneva. Their jeweled watches featured dials in hard stone, including onyx, turquoise, and lapis lazuli. Piaget’s status as master watchmaker/jeweler was confirmed in the 1980s with the creation of the most expensive men’s watch for its time — a masterpiece featuring a 3.85 carat blue diamond with 296 small white diamonds. Piaget now boasts two centers of manufacture, in La Côte-aux-Fées and Geneva, and handles all the stages of production, from the construction of the movement to the finishing touches on the watch case. Diamond Estate prides itself on an entirely pressure free sales process — one that is both informative and transparent. It all starts with a free verbal market appraisal of your used Piaget timepiece. Get that process started by telling us a little bit about your watch, either by phone or email. We will get back to you quickly with our initial estimate or ask for a few additional details to complete our Piaget watch appraisal. We buy the Piaget Altiplano Skeleton, Meteorite, and Ultimate; the Limelight Gala, Tonneau, and Stella; the Polo S, FourtyFive, Chronograph. Sell a vintage Piaget watch confidently with Diamond Estate.